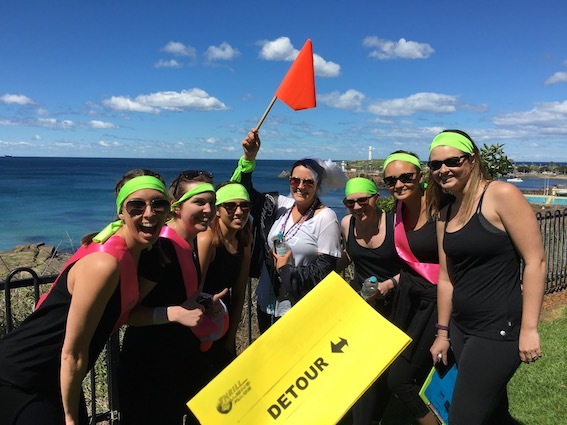 Select the best provider of amazing race team building activities for employee training to achieve the success, engagement and interaction your staff deserve. As in life not all things are equal and often value is diminished when the end goal and outcome is not achieved. Amazing Races is different on the respect of going above and beyond the industry standard. We review and integrate your business culture and values. Only professional qualified staff are employed to facilitate your activities. Checkpoints around all cities like Sydney, Melbourne, Parramatta, Gold Coast and Brisbane are hosted by our trained staff. AR coordinator is applied and dedicated to your team event. They custom build the amazing race journey and activities content to match your timing, date, duration, locations and needs of the corporate group. The activities are matched to ensure that everyone is included and contributes. The pace is adapted to suit the teams.